With more than 15 years of experience, Jennifer applies her expertise in strategic human resources and leadership training to support her clients in the development of their organizational infrastructure and their people. She works together with clients to create, deliver, and implement a plan of action that supports the company’s present and future goals. 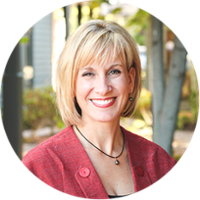 As a strategist, Jennifer collaborates with business leaders and executives to create and implement plans of action with regard to training, employee retention, policies & procedures, performance management systems, and employee development plans. Jennifer’s philosophy is that inclusion and collaboration leads to a better result. She connects the dots between organizational development and people development by engaging both the management team and the employees in the creation and implementation of short and long term goals & objectives with minimal interruption of day-to-day operations. I believe that for all aspects of successful development, inclusion and collaboration lead to a better result.